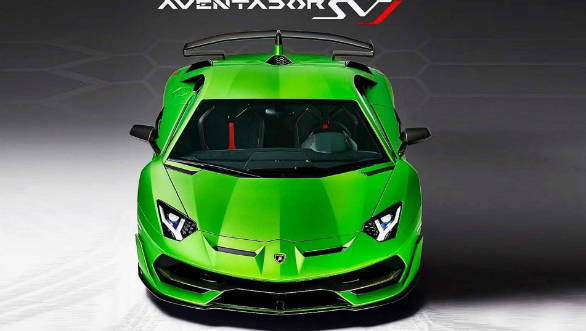 The first full image of the hotly anticipated Lamborghini Aventor SVJ has been leaked on the internet by H.R. Owen, a dealership in the UK. This singular frontal shot of the car is also in its distinctive neon-green launch colour. But of more interest are new details this picture reveals, most noticeable of which are the dual aero slats on either side of the front Lamborghini emblem. The new pictures also show the heavily reworked front bumper, especially the new front splitter. The dual-level rear spoiler is also a new addition.